Bishop Robert McGuckin was born in 1944 in Marrickville, Sydney. His parents John and Gladys are now both deceased, as is one of his four siblings. His family comprises his eldest sister Janice, his elder brother Edward and his younger brother Patrick and their children. The Bishop received his early education at St Pius Primary School in Enmore and later at De La Salle College in Marrickville. After he left school, the family moved to Jannali in Sutherland shire where he became a foundation member of the Como-Oyster Bay-Jannali Catholic Youth Organisation. He worked for several years in banking before entering the seminary at Saint Columba’s College in Springwood in 1967 and then to Saint Patrick’s College in Manly as a candidate for ordination for the Archdiocese of Sydney and was duly ordained in 1973 by Archbishop James Carroll. In the Archdiocese of Sydney, he served in the parishes of Matraville, Dulwich Hill and Mascot and was appointed to the Regional Tribunal of Sydney in 1975. He undertook post graduate studies in Canon Law at the University of St Paul Ottawa Canada. On the division of the Archdiocese of Sydney in 1986, he ministered in the Diocese of Parramatta where he was incardinated in 1993. Whilst appointed to the Tribunal, he assisted in the Parish of St Michael in South Blacktown. He was Vicar for Religious 1990-2010 and Diocesan Administrator in 1997. He was Vicar General and Moderator of the Curia through 1997 until his appointment to the diocese of Toowoomba. 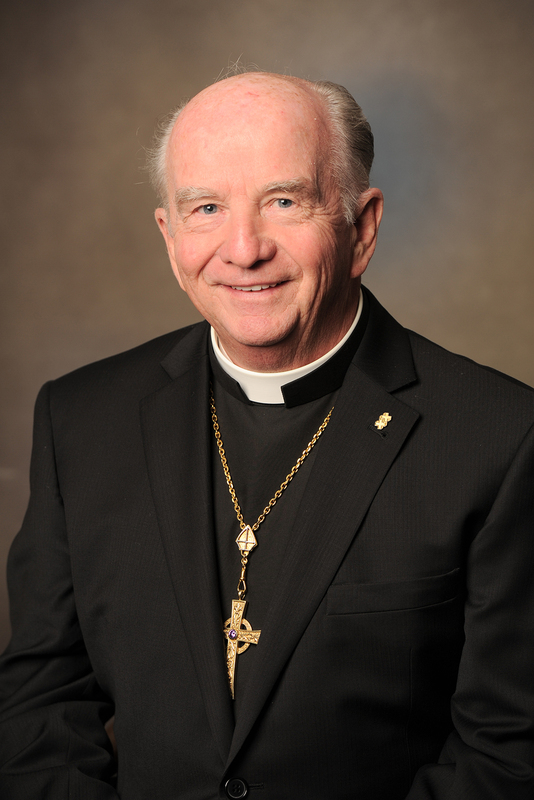 Bishop McGuckin obtained degrees in theology and church law and has taken an active role in the Canon Law Society of Australia and New Zealand, including lecturing in the School of Law at the University of Notre Dame Australia. In 2011, the Bishops of the Province of Sydney and Archdiocese of Canberra and Goulburn appointed him as Judicial Vicar of the Regional Tribunal for New South Wales and the Australian Capital Territory and he was named by Pope Benedict XVI as a Prelate of Honour of His Holiness. Bishop McGuckin’s episcopal ordination as the sixth Bishop of the Catholic Diocese of Toowoomba took place at St Patrick’s Cathedral, Toowoomba on 11 July 2012. The Bishop’s Coat of Arms traditionally consists of two halves. 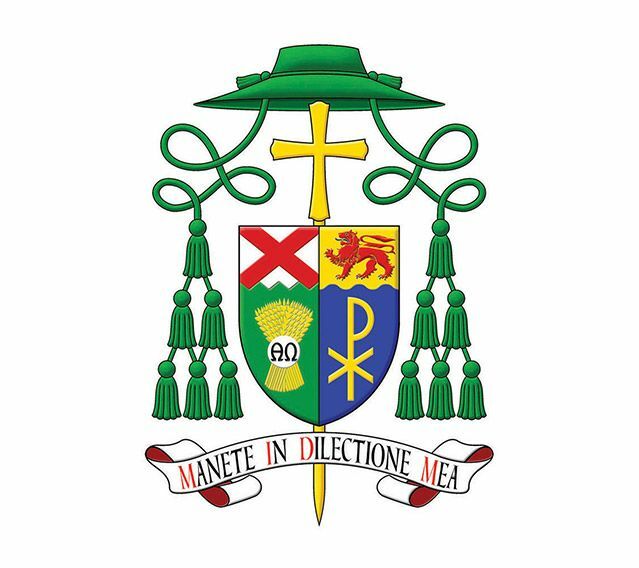 The left half is the crest of the Diocese, the right, of the Bishop himself. A blue field to reference the Virgin and the Bishop’s interest in boating and fishing. The Christogram Chi Rho in gold. A charge from the arms of the Bishop’s patrynomic Irish sept, the MacGeoghegan, being a red lion in this case differenced from the original lion rampant to the more pacific walking stance called passant. The Bishop’s personal arms were designed by Fr Guy Selvester and Richard d’Apice AM KCSG and the arms have been illustrated by Sandy Turnbull both of The Australian Heraldry Society.